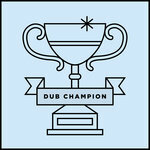 jahlovecrew BIG UP DUB-STUY.. I HOPE MA VINYL.. POSITIVE VIBEZ FROM MEXICO..
12" black vinyl, full colour sleeve, spine featuring artwork by Cyril Dosnon. 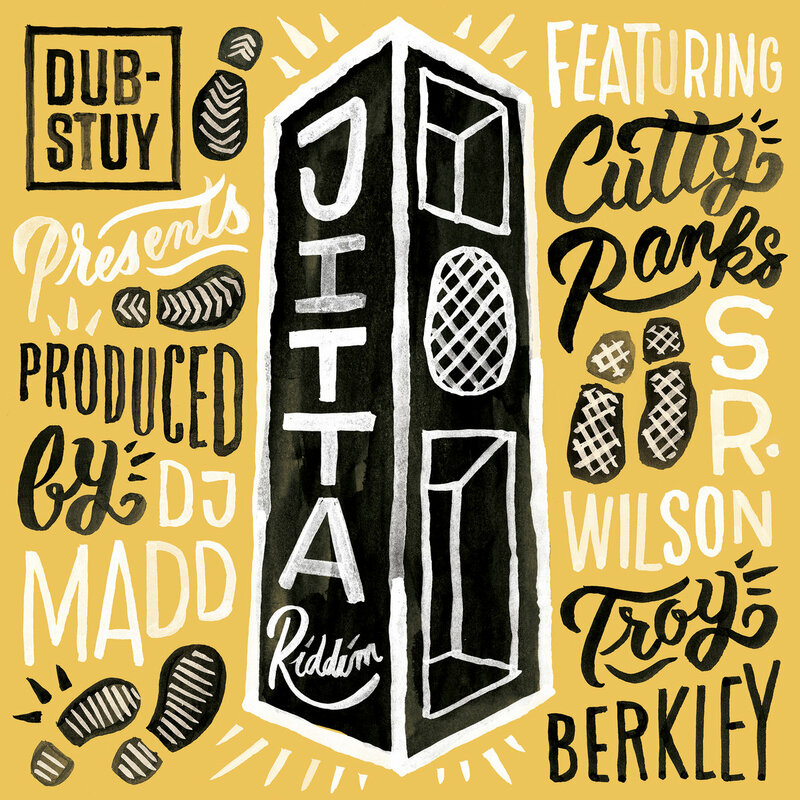 Includes unlimited streaming of Dub-Stuy Presents Jitta Riddim via the free Bandcamp app, plus high-quality download in MP3, FLAC and more. 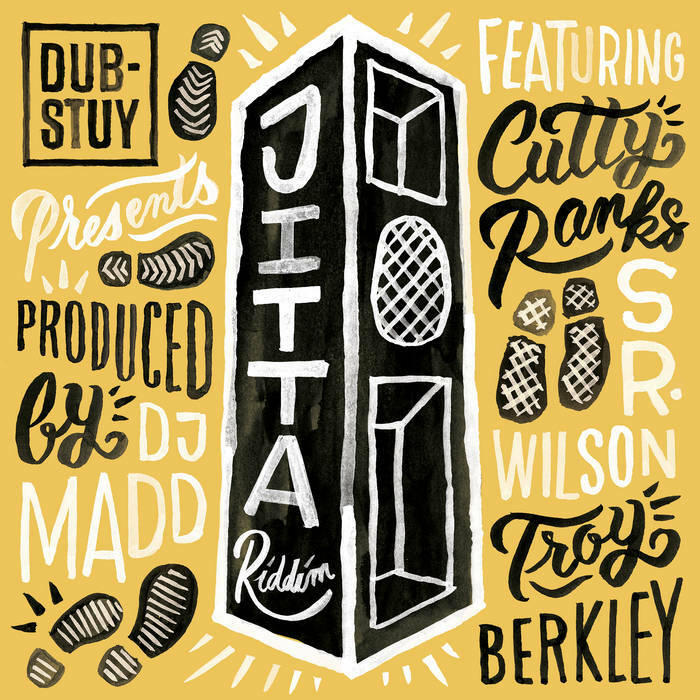 Following the success of last year’s Kunta Kinte 2017 riddim, Brooklyn-based label and collective Dub-Stuy add a new installment to their popular dancehall inspired series with a fresh riddim from in-house producer DJ Madd, featuring international vocalists from Jamaica, Spain and Bermuda. 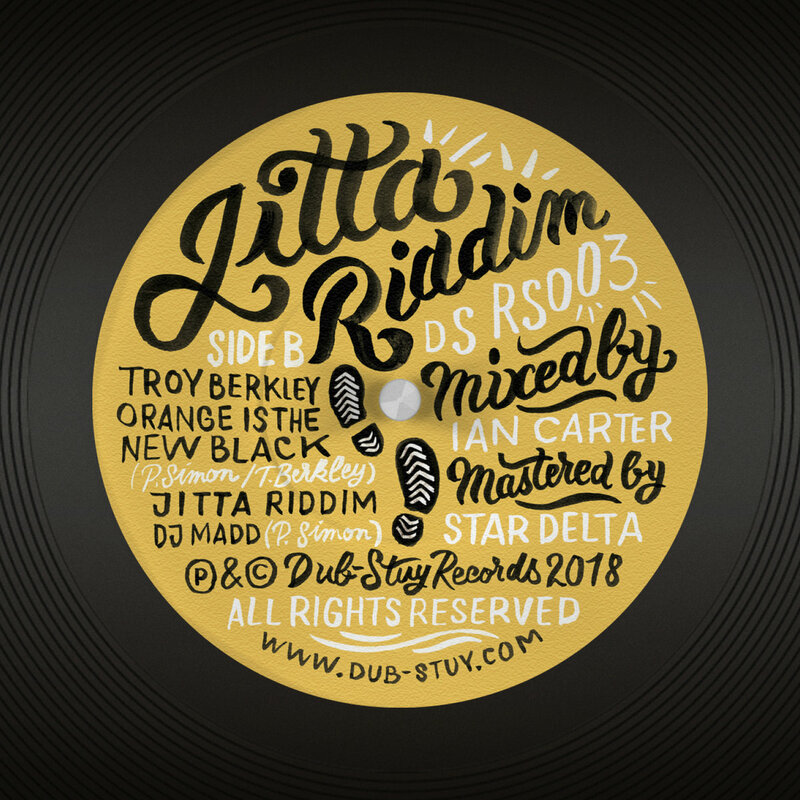 Jitta Riddim is a brand new production from DJ Madd; a sturdy yet spacious riddim carried forward by a lilting melody and guitar stabs that are anchored by slapping snares, dub flourishes and a rolling bassline. 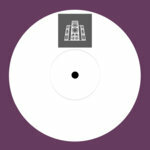 This is a weighty but energetic riddim with the dancefloor in mind. Bringing the riddim to life are a trio of vocalists representing the roots and global expansion of dancehall and sound system music. Spain’s Sr. Wilson delivers an anthem in the making with ‘Zapatillas’, a song dedicated to all the sneaker heads worldwide who like to sport fresh kicks when they hit the dancefloor. Singing in his native Spanish and English, Sr. Wilson shares tales of daily shoe addiction around a catchy refrain that name checks the best known brands. His blend of reggaeton-flavoured autotune and kicks geek outs is sure to resound loudly around clubs worldwide. Backing him is Jamaican veteran deejay Cutty Ranks, a man who’s been lending his distinct flow to productions for over 30 years. On ‘Double Trouble’ Cutty speaks to the daily realities of life on the streets and the ills keeping people down, warning of the trouble that awaits those in charge. Wrapping up the release is Bermuda’s Troy Berkley who aims his vocal rifle straight to the orange-skinned resident of the White House, spitting rapid fire lyrics about the deteriorating state of things in 2018 America. 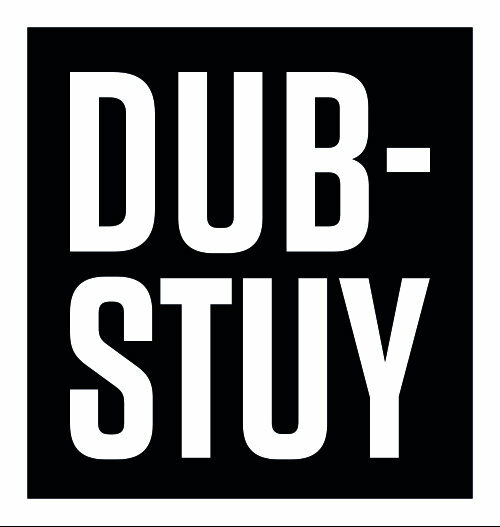 Lace up your sneakers and get ready to move and chant with Dub-Stuy’s new riddim. Zapattilas written by X. Ojeda & P. Simon. Double Trouble written by P. Thomas & P. Simon. Orange Is The New Black written by T. Berkley & P. Simon. 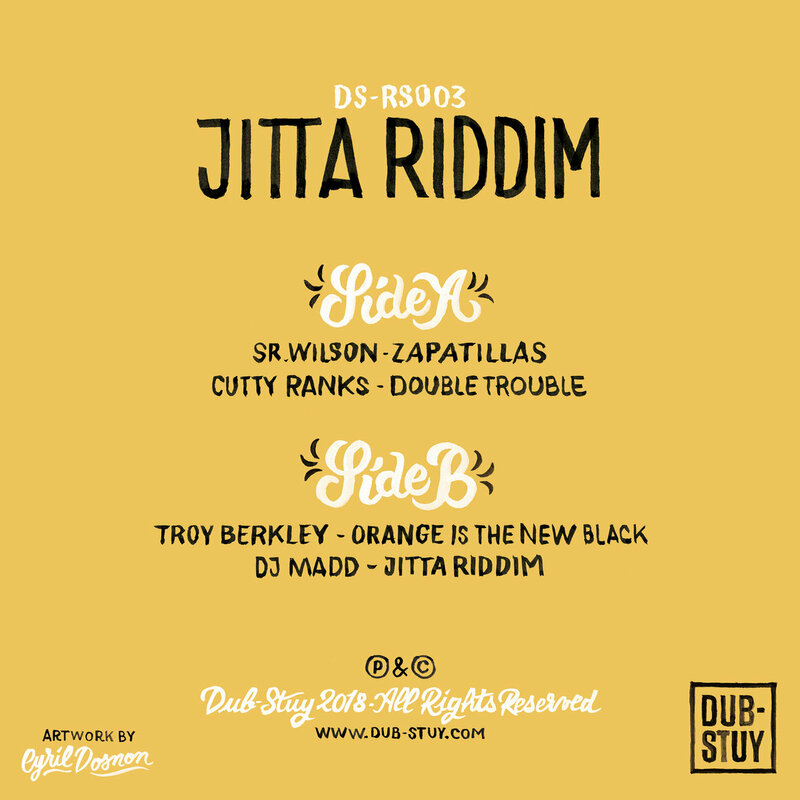 Jitta Riddim written by P. Simon. 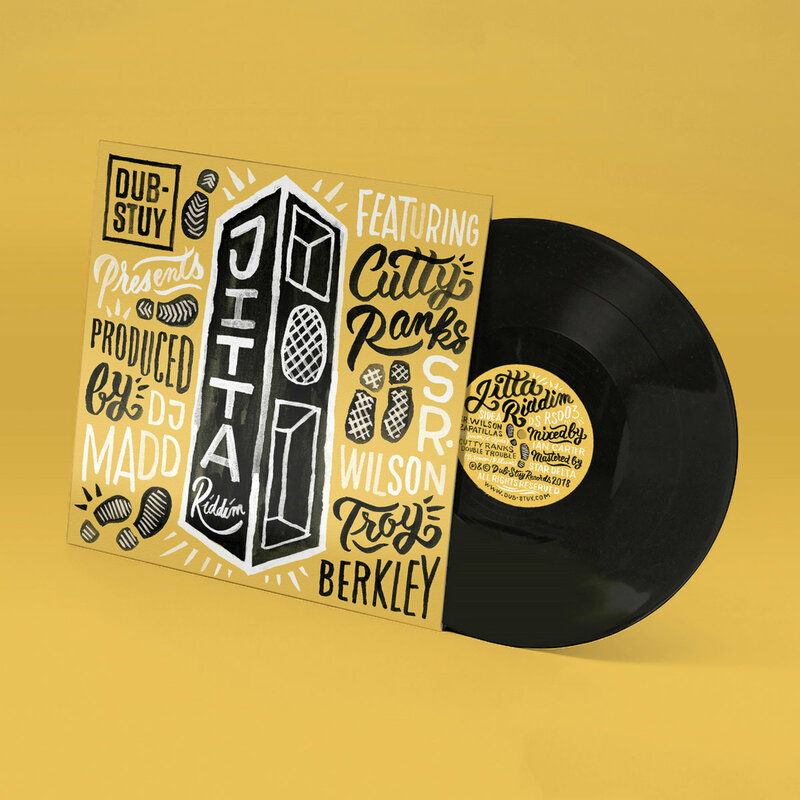 Mixed by Ian Carter. Mastered by Star Delta.